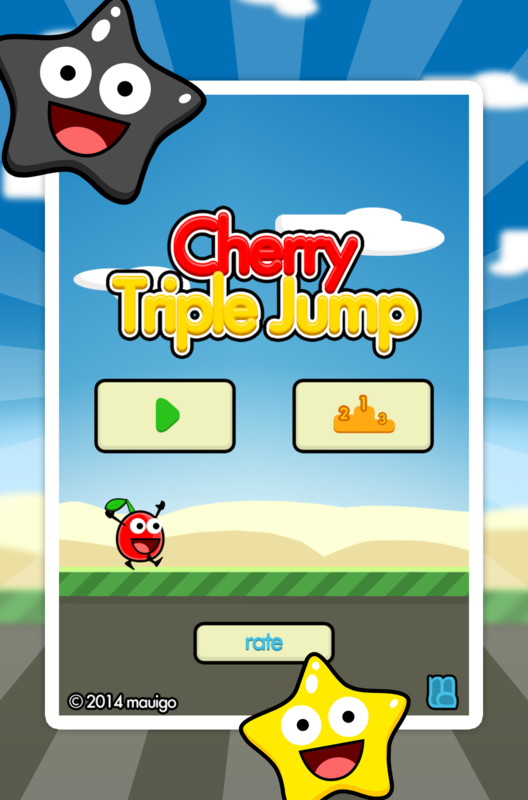 Cherry Triple Jump n Run is one of the best platformer games and happy jump games on Android! 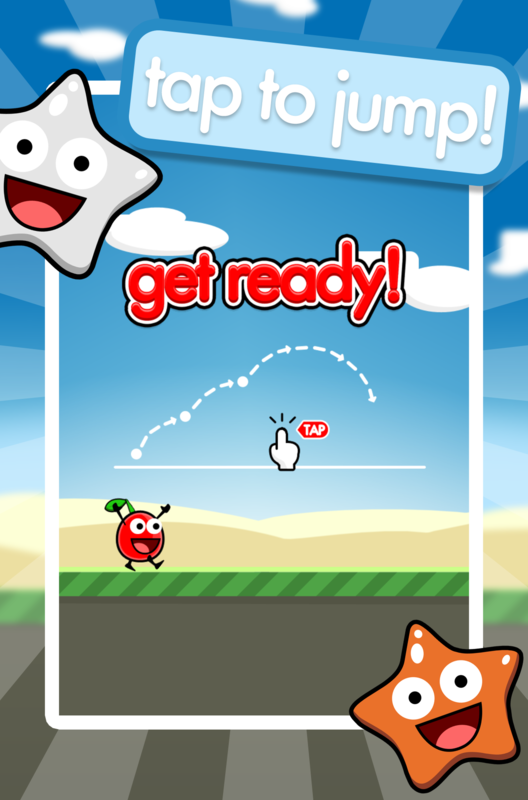 In this super jump game you have to jump with a cherry over cacti! 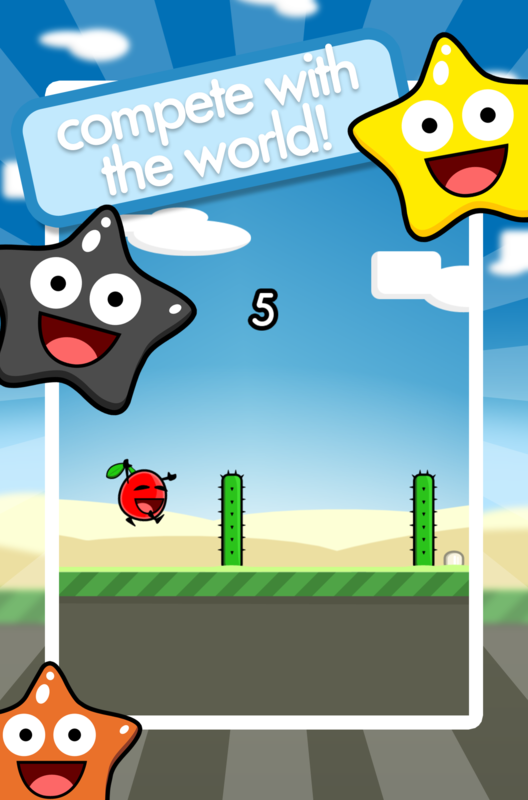 Because everyone knows, cherry and cactus, those don’t fit together! Even in a reaction game like this. 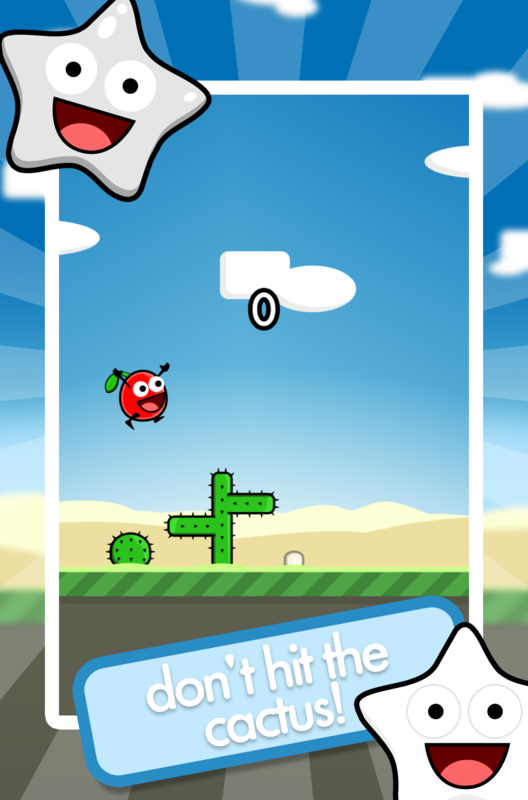 =) If you touch the cactus, the unfair platformer makes the cherry go pang boom and game over!